Looking for a custom t-shirt printing Singapore service provider for your sports team or corporate event? Looking for a custom tshirt as a uniform? How do you identify your perfect vendor amongst the many vendors in Singapore? If you are not sure what to look out for, we have a guide for you to help you make an informed decision. 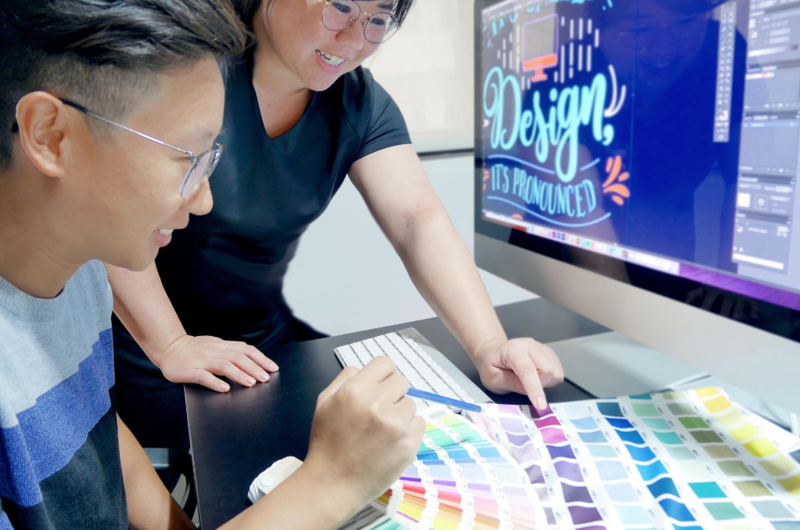 Besides price as a key factor, we have highlighted 3 other factors that you should look out for when choosing a custom t-shirt printing Singapore vendor. Do you just need a simple cotton tee-shirt, or do you prefer a tee shirt with a blend of polyester and cotton? Do you need custom tshirts in neon colours, or do you want to custom make a tee shirt with gigantic prints that goes all the way to the edge of the fabric? Do you want to go for high end branded apparel with wicking properties and UV protection like Under Armour Singapore and adidas Singapore apparel? Do you need a uniform that is able to endure wear and tear as compared to a tee-shirt that the participants will only wear once for an event? As the saying goes, if you only have a hammer, everything looks like a nail. It is important to find a vendor with a wide range of products so that they can recommend to you the best attire for your purpose, within your price range and not propose a one size fits all solution. For example, if we are looking to customise a uniform for a Food and Beverage outlets, we may choose polyester fabric for quick drying properties as food outlets can be very hot. We need to choose print or even embroidery that can withstand multiple washes. What type of print and effect do you need for your custom tshirts? Do you need digital print or silk screen printing? Do you want Neon colours or glitter print? Do you want puff print (the print will looks a bit puffy and 3 dimensional), silver print or gold print? Do you want 3M reflectives? Or do you have a whole customized design that covers from edge to edge? Do you want to combine digital print with reflectives? There are many possibilities on what you can do besides a simple print and finding the right tshirt printing Singapore company to recommend the right option will determine if your finished product is just ok or outstanding. Is this your first custom tshirts order? What’s the next step? What happens if I only have a design I took off the web? Will you be able to deliver to my company? What’s the payment terms? Do you issue any invoice? Can you do a rush job? Can I speak to someone? All these are questions that you may be keen to find answers to. An established company will have all the processes in place. For example, if you do not have an EPS or AI image suitable for print, an established company will have designers that are able to help translate your image to vector for print. An established company will be able to issue Invoices or allow 30 days payment terms upon submission of purchase order. An established company will be able to show you mock up before print. When working with a tshirt printing Singapore company which prides itself on service and assurance, you will enjoy a pleasant, hassle free transaction. Besides taking the top 3 factors into consideration for your custom tshirts order, other factors to consider when custom making a tee shirt includes turnaround time, whether company is outsourcing the printing and embroidery job, and the experience of the team and the production specialists. At Ark Industries, we pride ourselves on professional service and advice. Please contact us at +65 63520988 or send us a message below to discuss your needs with us.